LWML Oregon District President Carmen Nagel presided over her first convention, July 5–8, at the Macleay Conference and Retreat Center in the foothills of the Willamette Valley, Salem, Ore., where 163 participants gathered. “Clean Slate–Cleansed in Christ” was the theme based on Ephesians 4:32, Be kind to one another, tenderhearted, forgiving one another, as God in Christ forgave you. Prior to the opening of convention, five young women gathered for a pinning ceremony as Young Woman Representatives (YWRs). LCMS Northwest District President Rev. Paul Linnemann served as Proclaimer at the opening worship and communion service. Following the celebration, a “meet and greet under the stars” was held on the patio hosted by President Carmen Nagel. Keynote speaker and Bible study leader, Cindy Steinbeck, farmer, vintner, and author offered her perspective on Jesus’ words, “I am the vine; you are the branches,” emphasizing how we, as God’s children, are cleansed because of Jesus’ shed blood. Bringing greetings from the LWML was Angelina Jauregui, LWML Vice President of Gospel Outreach. Angelina also met, answered questions, and shared lunch with the YWRs. Northwest Missionaries Nathan Schmidt of LAMP and Rev. Zabdi Lopez, Hope Lutheran Church, Woodburn, OR, spoke of the importance of LWML Mites in their outreach to the unchurched in both far reaching territories in Canada and urban Willamette Valley areas. Heart to Heart (H2H) Training Leader Marisol Valle spoke of the importance of reaching out to women of a diverse population. Missions in Action speakers (Voices from the Mission Field) were highlights. The business of the district included adoption of a mission goal of $96,750, selection of 14 mission grants, approval of revised bylaws, and the election of officers. Sunday morning, Rev. Philemon Ngare preached during the Sending Service; and dedication of numerous ingathering items brought by tenderhearted Lutheran Women in Mission was offered. Saturday started off with an early morning Bible study by Donna Pyle, using material from her new DVD study, “Where Love Abides” which was debuted at this convention. Rev. Naveen Nischal, Executive Director of Reaching Indians for Christ and Director of the Lutheran Student Center at UT Arlington was the Mites in Action speaker. Jan Brunette spoke of LWML’s involvement in Rejoicing in the God of All Nations – H2H Sisters. Three luncheons were held: Pastors; Young Woman’s Gathering which included 20 YWRs; and Lunch with My Friends. Fifteen teens were busy with attending convention and working at off-site servant activities. Saturday afternoon was full of serving, sharing, and telling with on-site and off-site servant events and enrichment sessions. Saturday evening entertainment featured a concert, “BOLD Life” by Wendysue Fluegge. Abby Faske provided humorous interruptions as Katie Luther. An invitation to the 2020 LWML Texas District Convention in Corpus Christi was extended. An 8-lesson DVD Bible study based on John 15:1-17. 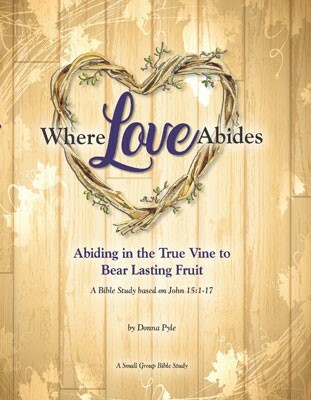 Written by Donna Pyle, this study takes an in-depth look at what it means to abide in Jesus, the True Vine to bear lasting fruit. The vineyard at Gage Farms, Silver Creek, New York, provides a beautiful backdrop for the video. Order one 224 page workbook per participant to accompany the DVD. 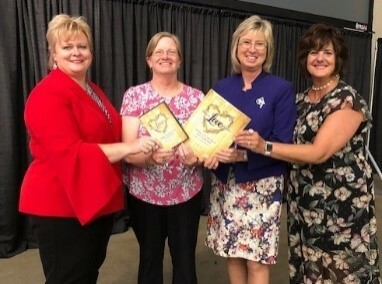 Contact the LWML Nominating Committee (JoNette Brogaard, Linda Fees, Karen Morrison, Sherrie Smith, and Joy Anderson, Chairman) at nominations@lwml.org. From the first grant in 1943 — $15,000 to Christ Church for the Deaf in Cleveland — millions of dollars have been received to fund Lutheran Women's Missionary League (LWML) Mission Grants. Hundreds of these mission grants became realities because one LWML member or one LWML group learned of a mission need and made the effort to do something special — to submit a mission grant proposal to fund the project. 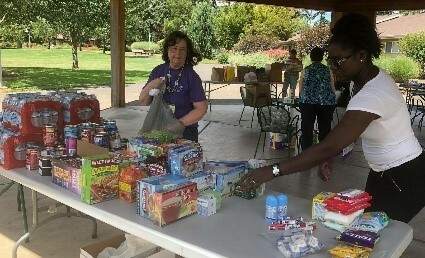 Each woman and each LWML group is blessed to be a blessing to others by continuing to be aware of the close-at-hand mission needs in her community and writing mission grant proposals for them, as well as remembering LWML and district mission grants in prayer and supporting them through Mite Box offerings. Who May Submit a Mission Grant Proposal? 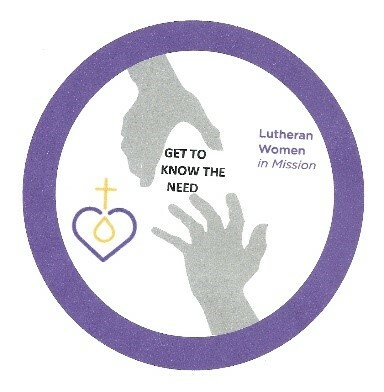 Any LWML member, unit (group, zone, district), or mission board of The Lutheran Church—Missouri Synod (LCMS) may submit a grant proposal for consideration by the Mission Grants Selection Committee. The organizations and recipients being considered for an LWML Mission Grant must be sponsored by one of the above listed people who acts as the official submitter of the mission grant proposal. When Is the DEADLINE for Submitting an LWML Mission Grant Proposal? 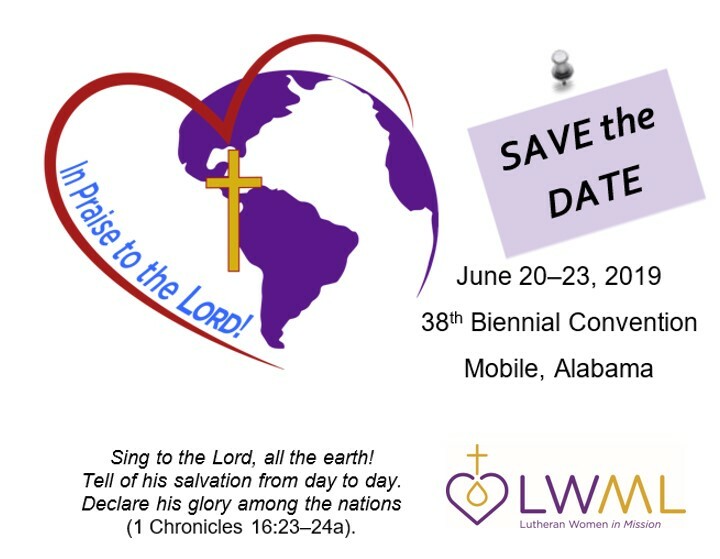 Proposals for the 2019 LWML Convention in Mobile, Alabama may be submitted electronically, but hard copies need to be received by LWML Vice President of Gospel Outreach Angelina Jauregui by September 30, 2018. Where Is Complete LWML Mission Grant Proposal Submission Information Found? www.lwml.org/mission-grant-proposals. Share this information with others in your area!